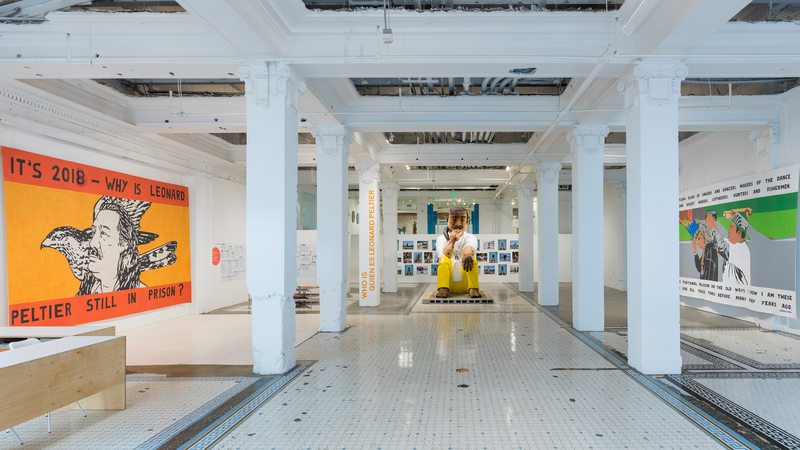 ArtCenter announces partnership with The Main Museum in Downtown L.A.
Photo of The Main Museum’s First Floor Gallery by Chris Wormald. The Main Museum of Los Angeles Art and ArtCenter College of Design announced an innovative agreement to develop a long-term operational and programmatic partnership that would further the missions of the two organizations by expanding their reach and scope of art and design education for students, faculty, museum-goers, and the L.A. community. The exploratory partnership provides financial stability for The Main so that it may remain a crucial resource for the public for years to come, while strengthening outreach and programming opportunities for both institutions. Within the partnership, programming at The Main would continue in its current spirit and the mission of The Main would stay the same—to engage the public with the most important ideas of our time through the art of Los Angeles—with the addition of design, which is a core area of ArtCenter’s curriculum. The collaboration will offer ArtCenter a deeper engagement with the city while creating new opportunities for student and faculty engagement. It is also anticipated that the staff of The Main would engage with ArtCenter’s established and developing programming in a variety of ways. Read more about this announcement in our Newsroom.